Studies show that the first 30 days of any new undertaking are the most difficult, but also the most important. If you want to keep a student in school all the way through graduation, it’s important to create a program right from the beginning to motivate them on a daily basis without distraction or discouragement. First, make sure to implement a good orientation program that familiarizes students with the school and the programs available to them. Remember that many of your students will be nervous about starting their new venture. Receiving their books, kits, and supplies will help alleviate some of this fear, as it provides them with a sense of ownership. Group discussions on theory and assigned topics can help to serve as ice-breakers, allowing students a chance to get to know one another and become more comfortable in their new classroom environment. In addition to nervous newbies, there are always students who come into the program and want to be at the same level as advanced students who have been in the program for months or want to work on clients from day one — especially if they think they already know how to do nails. As an instructor, you need to tactfully show these students that they must start at the beginning and move up one stage at a time in order to learn correctly. But it’s also important not to quash their enthusiasm or allow them to become frustrated out of boredom. Have extra assignments, such as handouts and videos, ready for these students. Encourage them to practice nail art projects if that’s where their interest lies. Demonstration sessions, where the advanced students show the new students what they have learned, are also a good way to motivate newer students. 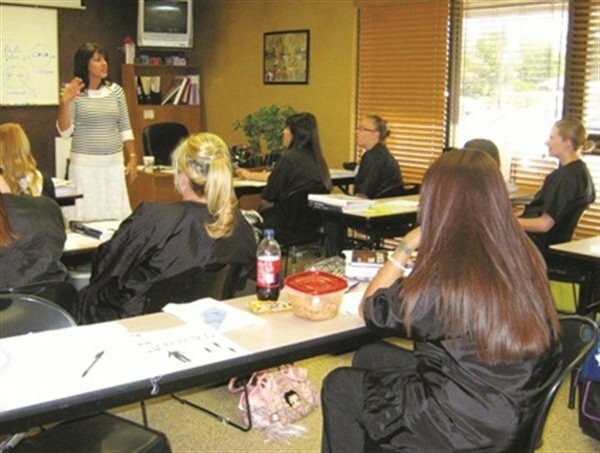 Another good way to keep students engaged before they begin working on clients is to take field trips to salons or supply distributors. Build relationships with headhunters in the industry, and have them come to your school and give presentations. Bring in motivational speakers from the nail industry or even former graduates who are now enjoying successful careers. Hands-on practice and activity will also make a huge difference in enthusiasm. Once students master manicuring and pedicuring, encourage them to practice on their friends and family to show them what they are learning. This will keep the excitement flowing and make them eager to transition to the next step. After 60 or 75 hours of classroom theory, you have laid the groundwork and your new students are ready to move to the floor. Continue to keep them motivated and work with them, working most closely with the students who need the most help. Most students will need some kind of help, but some won’t readily admit it. As an instructor, you will definitely know your students and their weak areas, so it’s important to help them overcome the initial fear of working on walk-ins, especially if the service will touch on their weak areas. Once students have mastered the basics, help them to create an image and fine-tune their style. Often, the image and style they develop while in nail school will become their signature and determine what sort of salon environment they will settle into after graduation. Remember, your role is to educate your students and set examples you want them to follow, so always praise their victories, both large and small, and show your own enthusiasm for this amazing industry!